Though they may not share the same zip code, Arlington’s Crystal City and Alexandria’s Potomac Yard are bound together in the pursuit for Amazon’s second headquarters — and, win or lose on HQ2, the area’s business community is looking to strengthen those ties in the future. Four Mile Run may separate the two neighborhoods, but real estate giant JBG Smith controls vast swaths of property in both neighborhoods, helping the company pitch Amazon on the area’s potential. With Potomac Yard becoming a development hub for the city, and Crystal City’s commercial office space emptying out a bit, the combination could be enticing enough to win out over the region’s other offerings. Undeniably, Jeff Bezos’ big decision looms over any discussion of the area’s future. 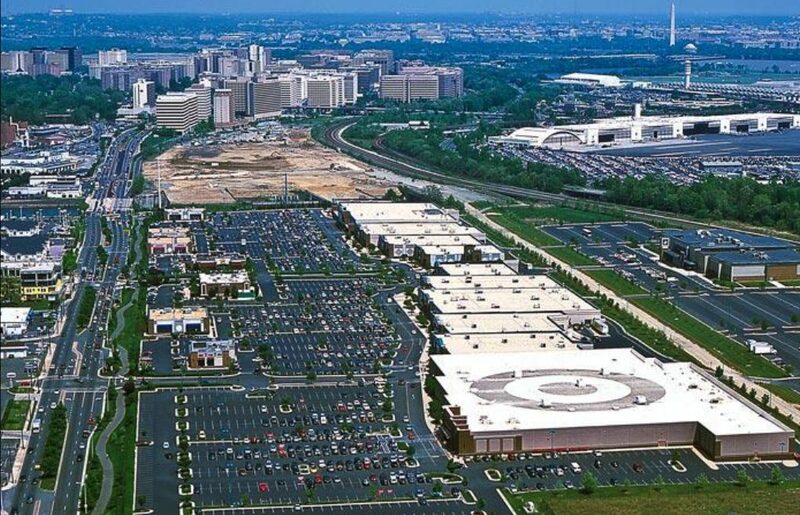 But, as Landrum points out, the same factors that made Crystal City and Potomac Yard attractive to Amazon will surely be enticing to other big companies. “If we can’t get it, we turn around and ask the next Fortune 100 company about their expansion plans,” Landrum said. That’s a big part of why business leaders are increasingly keen on unity among the various communities along the Potomac River. Rob Mandle, chief operating officer of the Crystal City Business Improvement District, points out this organization has embraced Potomac Yard as it courts new companies, and even started to market Pentagon City in conjunction with those neighborhoods as well. He notes that, in terms of sheer size, the trio rivals downtown areas in mid-size cities like Indianapolis or Austin, Texas — and with the area still hurting from its loss of federal tenants, straining county coffers in the process, he’s hoping a more interconnected pitch can make a difference. Robert Vaughn, vice president of development at JBG Smith, noted that such a connection certainly makes sense for his company. Much of JBG’s property in Potomac Yard is residential, and he sees its “target renter” as being anywhere from 25 to 35 years old, likely working at the Pentagon or for some other government contractor based in Arlington (perhaps even in one of JBG’s commercial properties in Crystal City). Rosslyn-Ballston corridor has traditionally been the prime area drawing in millenials interested in walkable, transit-oriented communities. That’s why Vaughn expects a similar focus on walkability could help the new combination of Crystal City, Potomac Yard and Pentagon City become attractive to that very lucrative constituency instead. Photo via McCaffrey Interests, Inc.